ATTENTION: Concurrent Enrollment packets will be accepted after April 19th. Completed packets submitted after April 19th ARE NOT guaranteed a registration date of May 7th. Registration dates will be assigned after the packet is processed and will be viewable on CLASS-Web. 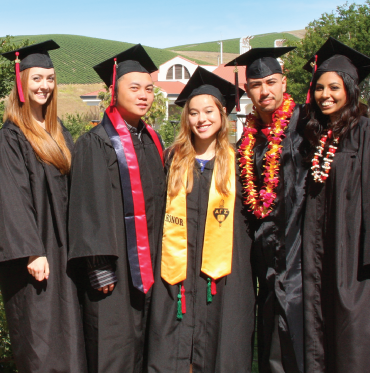 Las Positas College provides the opportunity for high school students in 10th, 11th, and 12th grades to enroll in college-level courses. Students who desire to participate in concurrent enrollment must be recommended by their high school principal and have written parental permission. Further information on the Concurrent Enrollment policy is available at the student's high school, and at the Office of Admissions and Records in Bldg 1600. We are happy to be able to offer High School students the opportunity to enroll concurrently for the Spring, Summer, & Fall semesters. For important dates and deadlines, please consult the ACADEMIC CALENDAR. You will notice that we are accepting high school sophomores, juniors and seniors only. Unit limitations - Summer is limited to 6 units, Spring and Fall are limited to 11 units each. Applications will not be accepted for courses that are closed or full. Enrollment in Kinesiology (P.E.) and basic skills courses (ENG 104 level, all ESL courses, MATH 107 level) are not allowed (Ed. Code 48800). APPLICATION AND FORMS MUST BE COMPLETED BEFORE REGISTRATION! Please review the Concurrent Enrollment Instructions flyer (PDF). Complete the online Admission application and print the confirmation page for your records. Fill out the REQUIRED Concurrent Enrollment Recommendation Form. Remember to obtain all necessary signatures after listing your requested classes. Attach a REQUIRED copy of your current high school transcript, and an official copy of your AP TEST scores (if applicable) in a sealed envelope. NOTE: Your current high school grade point average (GPA) MUST be 2.0 or higher. You must consult the College Catalog to determine if any requested classes have prerequisites. Any prerequisites must be cleared prior to registration. For more assistance with prerequisites, visit the Counseling Office. IMPORTANT: Students who wish to enroll in English and/or Math for Summer 2019 must still take the Assessment test or clear the prerequisite via Counseling. Effective Fall 2019, placement for English and Math will change. Visit the Assessment Center website for more information. Submit all the above completed forms to the LPC Admissions & Records Office before: April 19th. After this date, applications will be assigned a registration date when the packet is processed. Check CLASS-Web for your registration date. Stop by the Student Health Center in Building 1700 with your parent or guardian to submit the Parent/Guardian Minor Student Authorization Form. This form is not required to participate in the Concurrent Enrollment program, but if you would like to receive regular services from the Health Center, you will need to submit this completed form, along with any additional requirements. Please note that you must also pay the Student Health Fee to receive services at the Health Center. If you have participated in the Concurrent Enrollment program in the past and have already submitted this form, there is no need to submit this form again unless the information you provided has changed.